Move it or Lose it.. Armchair Exercise for everyone. - H.A.D. Move it or Lose it.. Armchair Exercise for everyone. Come along to our fun and friendly ‘Armchair Exercise Class’. 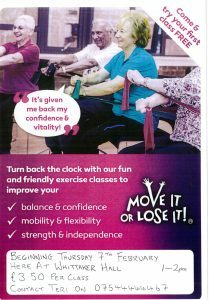 ‘Improve your balance and confidence, mobility and flexibility, strength and independence’. New class to be held here on the first 3 Thursdays in the month, between the hours of 1pm and 2pm. 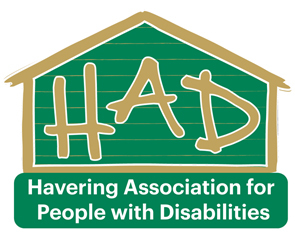 Contact H.A.D on 0170847654 or call the tutor Teri on 07544444467 to book your place.